Bought this to replace my thirty year old Seiko which finally stopped working. Had the watch a few days now and like it. I had a minor problem with the order but Watch Shop were quick in dealing with it and making sure I was satisfied. A great looking watch at a very good price. Really pleased with it. The face is very clear so easy to read. Pleasing, simple, stylish and practical - appropriately priced. 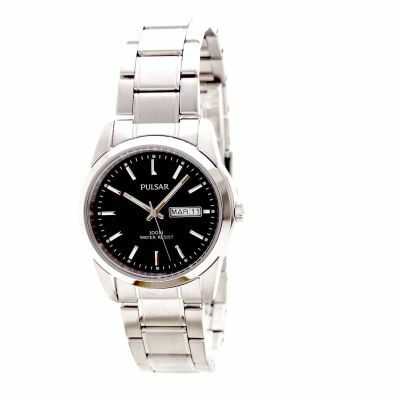 I received my Mens Pulsar Watch PJ6021X1, I am very pleased with the watch and very pleased with the Voucher for £50.00 for Virgin Wines, which I gave to my wife and subsequently she received the wines she wanted. I have told my friends and family about your Company and the good Customer Service I received from you. Bought this watch for my 12yr old son. He loves it as it is smart and goes with everything. Keeps time accurately. The sprung catch on the bracelet strap makes it easy to take off unlike some other watches where a locksmiths kit is needed and on but does not allow accidental unclasping. A nice looking watch, good weight and not too big a face. Looks more expensive than it is. I’ve had this watch for a couple of weeks now, and I am absolutely delighted with it. I’m very fussy about the watches I buy. After all, a watch is a constant companion, and you have to like and trust it. I had a precise specification in mind, and this Pulsar matched it perfectly. One of my specifications was not price within reason, yet this watch was actually the least expensive of all the ones I tried, while being precisely what I wanted. Let me explain. Manufacturers might not want you to know this, but quartz movements are all actually very simple and very similar. All you need is a vibrating quartz crystal, a stepping motor, and a simple movement to transfer motion to the hands. Unlike a mechanical watch, the movement is not sprung or under tension, so there is little wear, hence no need for servicing. And because the electronics behind a quartz watch are simple, you don’t need to pay more for an accurate movement, as you do with a clockwork watch. I still have a 30-year-old Seiko that chugs away to within two seconds a month, needing a battery every five years. It has never been serviced and works perfectly. So the movement you get in a £50 quartz watch can be identical to one you get in a £500 watch. The difference in price is often what you pay for the name or a more expensive case, if you want gold or titanium. 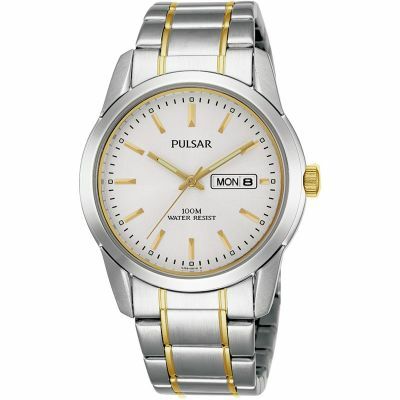 In other words, this Pulsar, despite its low price, can be as accurate and long-lasting as a watch 10 times the price. Well, why did I choose it? Firstly, I have a small wrist and did not want one of the over-sized models that are fashionable today. This model is not very small, but it is a tad smaller than most. The width of the case, including the crown, is 39.75 mm without the crown it is 37.5 mm. It is 10 mm thick. It is therefore man-sized without being over-sized. 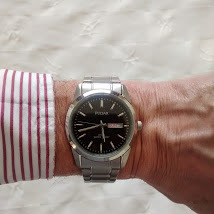 Secondly, I wanted a watch that looks smart enough to wear as a dress watch, while being robust and rugged enough to stand up to everyday wear and tear. As you can see from the photograph, this watch looks smart. Yet it is water-resistant to 100 m. Now, you may not want to swim in it – although you could if you wished – but a water-resistant case is also a dust-resistant case, so it is going to withstand dirt and dust as well as water. Thirdly, I wanted it be elegant while having a sturdy case. This watch has a stainless-steel, screw-in back, and the rest of the case is also made of sturdy stainless steel. It feels solid without being heavy, polished without being delicate, and attractive without being flimsy. 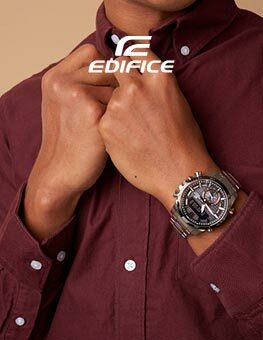 In other words, it promises to be a hard-wearing, reliable watch that also looks good – easily good enough to wear on formal occasions. And talking of looks, the photograph shows the smart black dial contrasted against the polished stainless- steel bezel and matt stainless-steel bracelet. The whole effect is one of masculine, understated elegance. All that I have said of the case applies to the bracelet, too. It is well-made, comfortable on the wrist, and robust without being weighty. Finally, I do like the day-date display: it’s clear without being obtrusive. When I’m at work, it’s nice to see ‘FRI’ on the dial. It’s even nicer to wake up and see ‘SAT’ or ‘SUN’ staring up at me! Do I have any reservations? Only one tiny one. The watch has luminous hands and spots on the five-minute markers. Left under a light for a while at bedtime, they will glow in the dark. Unfortunately, the glow fades after about an hour, so if you wake in the night, don’t expect to be able to read the time. Never mind, I have an illuminated bedside clock! All in all, this Pulsar is exactly what I was looking for, and it beats other watches at much higher prices. On the wrist it feels and looks like a watch worth three times the price. And it probably is! Would I buy it again? Certainly! 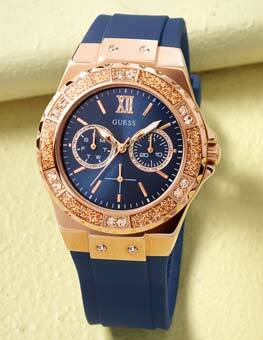 Watch perfect for birthday gift. Ordering was easy and delivered really quickly, couldnt fault this service. Would recommend to friends and family. lovely Watch! Im sure my Son will be very pleased with it. I especially like the day and date feature Im sure it will be very useful. BUT the watch is bi-lingual! and display the day in French too! Product excellent value for price paid.Picked by Grandson as his first watch. This watch is almost identical to the Pulsur one I bought over 30 years ago the only obvious difference being the black face of this new one.As I am in my 92.nd year I am confident that this recent acquisition will easily outlive me,!! This is a Christmas present for a teenager chosen by himself. I think we may have to take it to a jewellers to have the wristband adjusted but it looks the part. Bought to replace my 10+ years old Pulsar that has been very roughly handled over the years. Very pleased with this new watch, if it lasts as long as my last I will be very pleased, bargain price. Excellent watch worth every penny!looks good quality ! Ideal for an every good looking watch! Plain and simple just what was required for work fairly robust and waterproof .and an attractive price . The pulsar watch i bought was a good buy,it looks fantastic.The bracelet is very well made not thin and flimsy,the black face really sets the watch off pulsar are made by seiko who are renound for high quality. This watch exact replacement for one bought in 2006, Being that I work with tools & machines outside it has performed very well--- hence buying anothe the same. 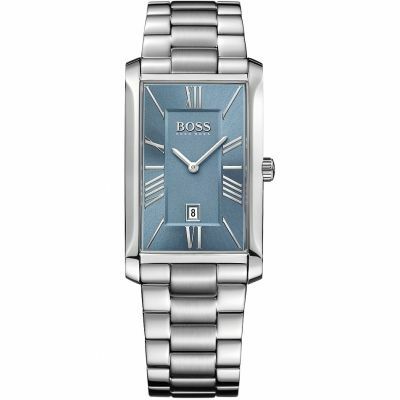 A beautiful watch and a very reasonable price for an 18th birthday gift. Arrived very quickly and well packaged. Customer service is second to none! Excellent product, easy to fit strap. Perfect as a gift for him or a treat for yourself! It was very easy placing the order and the delivery was very quick. I was happy with my purchase. The price was great as well. I will sure to place an order again. My partner is an engineering project manager who frequently has to roll his sleeves up and get stuck in. He wanted an every day watch that looked good, but if he broke it I wouldnt give him grief because it cost a fortune. This watch ticked those boxes. Infact he truly believed that Id paid far more than I actually had! The watch is a good weight/size and not overly heavy or chunky. It fits well round his wrist so he doesnt knock or catch it. The time is clear and easy to read and the day/date a useful additional feature. The strap is of good quality and a very generous length - we needed to have it shortened. It arrived in an up market looking cream faux leather presentation box adding to the quality look. I would definitely buy this item again and would have no hesitation recommeding it to others. I bought this watch for my son for Christmas. It arrived securely in a beautiful presentation box. The watch looks great and I found it very easy to adjust the links on the wrist strap after I had checked out a few videos on youtube. The watch looks classy and my 14yr old son is very happy with it. Great Service and price from Watch Shop. The watch was excellent, the delivery was prompt, the price was superb I am very pleased with the service and quality. The watch even came in a nice presentation box. Very Nice watch and very prompt delivery. I have large wrist and normally do not have to adjust the strap, but this watch has very large strap and I had to remove a link to get a good fit. This was an awesome watch, good for dressing up and dressing down. Nice silver colour and not to big or flashy, which is always a plus! lovely watch and great price. The strap is satin finish and looks really expensive. Perfect watch, just what I wanted. Stylish, and simple, great walue for money. Product as described on web. It was a good size, style and price for my 13 year old son. Strap was adjusted to measurements of my son's wrist given as special requests at time of placing order, this was very convenient. The product is just what I want; I have had to have the strap shortened it was far too large to fit on my wrist. The watch keeps good time, it has only lost a few seconds in the week I have had it. I gladly recomend buying from you to all my friends. Product very excleleent I am very happy with it..
Shop after looking everywhere for one . Fantastic service and the watch is exactly what I wanted. I have been looking for a replacement as I have had the same watch before as a present but I've scratched the watch face. The item looked exactly like it did on the screen. The colour is not too shiny yet not too dull, just right, and the wrist size is big enough to fit onto most, if not all wrist sizes. 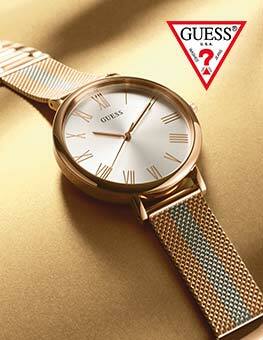 It is a perfect gift idea as the style of the watch is not too young or too old, its perfect for any age. The face was a little smaller than anticipated but it is still a great size to tell the time without being too bulky. 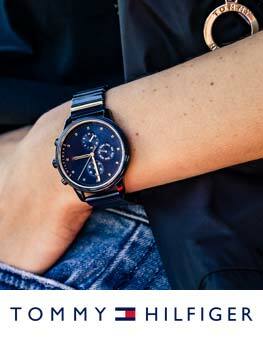 The black face makes the watch stand out more, and makes it very easy to read the time. These are very stylish hours with a black dial. The mechanism of change of date and day of week accurately works. Easy bracelet.But it would be desirable more exact coincidence of arrows and labels. The watch is very sleek and stylish. The dial face is neat but can become dirty and streaked after use in the shower. The watch is very reliable and waterproof to 100m. The time keeping is very accurate. Good watch. Good delivery. What can you expect more when everything is perfect. From now on I will only buy watches from here. P erfect gift -- Recommended !! very pleased with the product, was very stylish. i would definitly order from here again as the service was brilliant. Watch Shop är auktoriserad återförsäljare av Pulsar. Registrera för att få e-postuppdateringar när nya stilar av Pulsar dyker upp i Watch Shop!